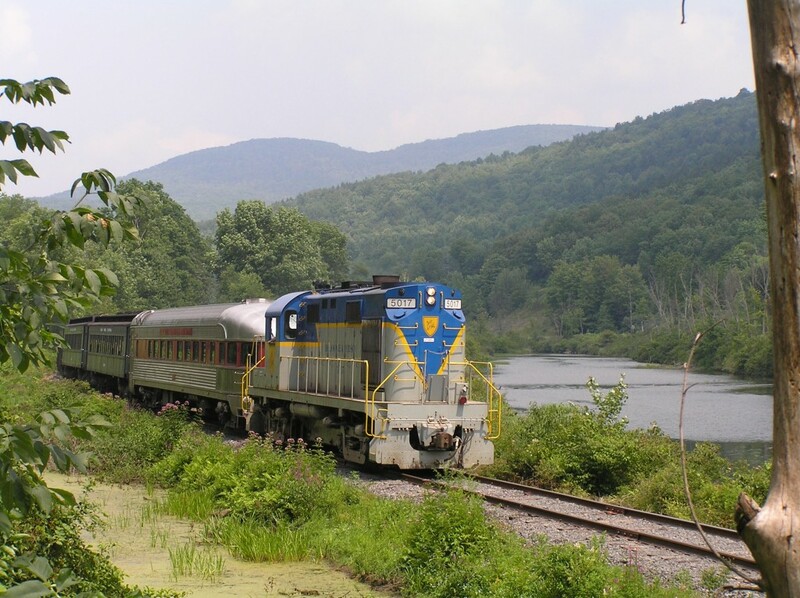 The Delaware& Ulster Railroad offers scenic train rides through New York's legendary Catskill Mountains! Climb aboard the vintage railcars and enjoy the gentle breeze as you meander along the quiet streams, rolling hills and lush forests. 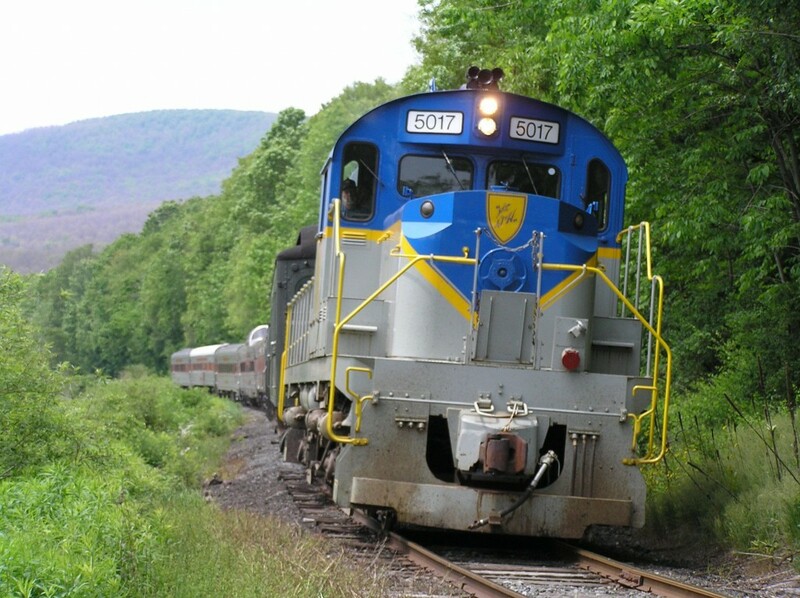 Wildlife abounds, charming villages dot the landscape and nostalgia reigns as our antique train cars bring you back to the Golden Age of Railroading. Special events include light hearted train robberies featuring historically accurate desperadoes and lawmen of the 19th century. For those who dare to ride in high style during these Great Train Robbery events, the D&U offers an upgraded ticket in our streamlined tavern car. 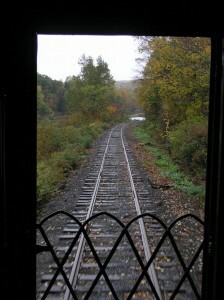 Be forewarned, the Catskill Mountain Bushwackers like to prey on the high rollers in the fancy railroad cars! Passengers embarking on the Rip Van Winkle Flyer are transported on a journey back to the sophisticated atmosphere of the early days of railroading. The crème of the fleet at the Delaware & Ulster Railroad, the Rip Van Winkle Flyer harkens visitors to a period when life’s pace was more measured and good conversation was cherished entertainment. A genuine “period piece,” the Rip Van Winkle Flyer lets visitors to experience an elegant portion of railroad history on what many experts consider to be the finest collection of train cars on the East Coast. The art deco railcars, with their trademark curves and attention to detail, pay testimony to the heyday of passenger train travel. Topping off a voyage on these lovingly restored cars, Rip Van Winkle Flyer trips are accompanied by a midday gourmet meal. The menu, based on seasonal availability, features a fresh salad accompanied by entrees such as Chicken Marsala or Beef Burgundy. Rounding out the dining choices are sides like roasted new potatoes and seasonal vegetables. Spring water, coffee and tea are the beverages offered. Patrons may bring their own wine. The meal is followed by equally delectable desserts such as carrot cake or chocolate ganache. 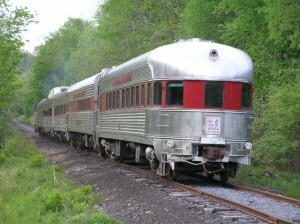 Passengers have the option of riding aboard The Olive Branch, a 1949 luxury streamlined Tavern Car, a Dining Car, the Observation Car or the Dome Car. Seating is arranged at tables of two or four to encourage old-fashioned camaraderie between passengers. The Flyer departs on specific dates through out the season. Tour companies charter the train and we invite individuals to join us whenever there is space available on those dates. Almost all of the trips are luncheon excursions and depart at 11:00 AM. The menu changes with each trip and always includes a full meal in the style of the famed dinner trains. Warm bread, salads, entrees such as Stuffed Pork Loin and our signature Chicken Pot Pie, desserts and coffee service are all sure to satisfy. Linens and china, fresh flowers and spectacular scenery from our over-sized windows help to make every trip memorable.